Talk to your doctor today about supplements to help with a variety of eye conditions. Drs. 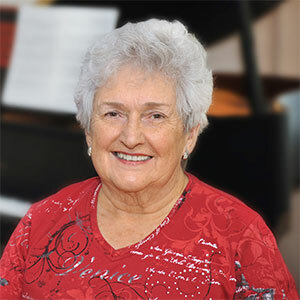 Campbell, Cunningham, Taylor & Haun offer supplement therapy to help in the treatment and prevention of a variety of age-related and other eye diseases. Good health and good nutrition can sometimes be part of your treatment plan. Ask our doctors if supplement therapy can help in your particular condition. Supplement products are available through Drs. Campbell, Cunningham, Taylor & Haun from manufacturer Macular Health. The product line is Visual Health. 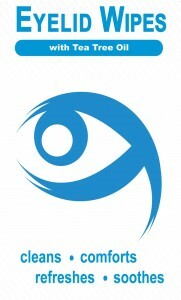 To learn more about Visual Health and related products, go to www.MacularHealth.com. Macular Health’s Visual Advantage™ is specially formulated in the United States by an FDA inspected and GMP compliant facility. The manufacturer utilizes today’s latest medical technology to engineer the best pharmaceutical grade supplements available at the most affordable prices to the consumer. Macular Health adheres to rigorous testing to ensure every raw ingredient that is used to make each supplement meets the highest standards. 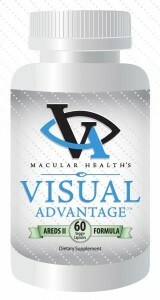 Macular Health’s Visual Advantage™ AREDS 2 formula is based on the following AREDS 2 study results: The AREDS formula, which was published in 2001, resulted in a 25 percent reduction in the progression of Age Related Macular Degeneration (AMD) in the original AREDS study and this was also shown to be true in the AREDS 2 study with an even better result. The use of specific dosages of lutein and zeaxanthin in the AREDS 2 study showed a further reduction of the progression of AMD even better than the rst AREDS study, which did not have lutein or zeaxanthin. In the AREDS II study the beta carotene (Vitamin A) was found to decrease the absorption and the ecacy of lutein and zeaxanthin. Therefore, Beta carotene should not be used and lutein and zeaxanthin should take its place resulting in an even better reduction of the progression of AMD. Macular Health’s Visual Advantage™ presented a major study in 2006 (MERG Study) that showed the eect lutein and zeaxanthin had on AMD patients and the AREDS 2 study simply validated what we found in 2006. The AREDS 2 study showed that a lower dose of zinc at 25mg was just as ecient as a dose of zinc at 80mg. Therefore we have included the lower dose zinc in our formula which will also help to offset the stomach irritation many patients have felt while taking an eye supplement. 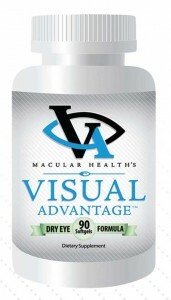 Macular Health’s Visual Advantage™ Dry Eye Formula not only contains the essential ingredients proven to benefit dry eye, it is also one of the most affordable pharmaceutical grade products. Macular Health’s Visual Advantage Dry Eye Formula can help to reduce dry eye symptoms, including burning, stinging, redness and intermittent visual disturbances. For this reason, many eye doctors are now recommending Macular Health’s Visual Advantage™ Dry Eye Formula for their patients who suffer from dry eyes. Recent studies have found that certain combinations of vitamins, minerals, and Omega-3 fatty acids tend to decrease inflammation and improve tear gland secretions. Macular Health’s Visual Advantage Dry Eye Formula has specific dosages of key ingredients to help maximize dry eye relief. The company developed this formula to treat the core of the problem from the inside out. Many patients may find that they no longer need re-wetting drops although the manufacturer recommends using both Macular Health’s Visual Advantage Dry Eye Formula in tandem with the re-wetting drops for maximum benefit. For effective removal of debris, oil and other irritating secretions on the eyelid and surrounding eye area. Wipes are designed to clean, comfort, refresh and sooth irritated eyelids. Eyelid wipes are effective in the management of Bleparitis. The single most important treatment of Blepharitis is a regular routine of eyelid hygiene. The routine needs to be convenient enough to be continued for life to avoid relapses as Blepharitis is often a chronic condition. The wipes are also effective in treating a condition known as Demodex, a category of tiny parasitic mites that live in or near hair follicles of mammals. The types of Demodex that live on humans are referred to as eyelash mites. Older people are much more likely to carry the mites. About two-thirds of elderly people are estimated to carry the mites. Half of adults and about a third of children and young adults are infected. In the vast majority of cases the mites go unobserved without any adverse symptoms. But in certain cases mite populations can dramatically increase resulting in a condition known as Demodex mite bite. The condition is characterized by itching, inflammation and other skin disorders. Tea Tree Oil is the most effective treatment. Unlike many of the store bought Lid Scrubs that only offer a cleanser, Macular Health offers a combination of a cleanser and Tea Tree Oil. For an appointment with Drs. Campbell, Cunningham, Taylor & Haun, please call our offices: (865) 584-0905.